Any aficionados have experienced the purchase of a horse at some point in our lives. The aim of this article is to guide, from my experience as a buyer, certain steps essential to not regret of the purchase decision in the short, medium or long term. Objective: Why do we need a Peruvian Paso Horse? It may be to breed, for pleasure or competition in shows, or your purpose may be to purchase to enjoy the three activities together, two of them or just one.  1.1 Pleasure and Trail Riding: In the case of pleasure and trail riding the ideal horse to buy is a gelding or mare without the purpose of reproduction. You can also purchase a stallion, but it can be more difficult to deal with a stallion in the presence of mares while riding in groups. It is important to look for animals that come from genetic lines which have already been used for trail riding and that are proven lines for longevity. They must also always be smooth to ride and have good temperament. It is essential to have a veterinarian do a pre-purchase exam to see its health state, as well as a lack of a previous injury. 1.2. Competition in Shows: Purchasing of horses for competition it is essential to a veterinary pre-purchase exam to rule out any health issues or previous injury. Also, it is always good idea to review if they have competed previously in good condition with several judges and have obtained good positions with several of them, and not only in some isolated cases. Undoubtedly they are from good lines, healthy, and that these are competing with good results. 1.3. Aging: When buying animals for breeding should always be to emphasize that they have produced offspring and also that his ancestry comes from horses who have been champions and transmit their virtues for generations, nor come from horses who have suffered or transmitted weaknesses. To buy a horse for breeding it is different to than buy for pleasure/trail riding or purchasing for competition. Purchasing for breeding is to evaluate the long-term results so you should be wary of hasty decisions, fast and lacking in analysis. A bad decision can lead to loss of time and as you know the only thing you can’t buy now is the time. How much do you want to spend? I have always maintained that the cheapest part in this whole adventure, it is the purchase of the horse, which is the first step. We know that the fixed cost of having a horse is very high and more if you want to compete and raise, to prepare a horse professionally (training, vitamins, food, veterinary care, entry to competitions and equipment) is very expensive. 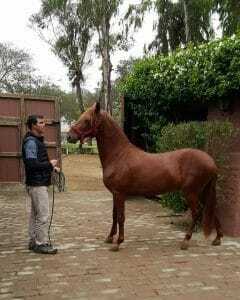 Not to mention the purchase of stud services of the best stallions, paying veterinarians for pregnancy or embryos. On the other hand having an animal to ride is cheaper, as you are not breeding, so you only need a good feed with trimming and other standard care. The preparation and training we can do ourselves if the horse has previously been trained. The only requirements is having a caregiver to provide food and be present before any illness or colic is sufficient. We are aware that every weekend we will have to put our hand in our pocket to pay for our horses, so we need to choose the best way to not regret the purchase in the short term of our decision. 3.1. If you do not have experience or knowledge must start to read articles, books, watch videos, attend horseback rides with a borrowed horse, you must also attend competitions to have a pretty good idea of what type of animal is the one who you will love. 3.2. Supports your initiative to purchase with any successful breeder who can offer good animals. We are still a small breed and the results of success are shown in the results of shows and events, or by the advertising of the National Association of Breeders and Owners of Peru. 3.3. Don’t buy the first thing you see! Don’t despair and look at three (3) to five (5) options. Then take a decision. Look at more options see which best fits your need. 3.4. Draw up a contract of sale purchase after the veterinary report so that everything is in order and not have future claims by both parties. 3.5. Do not change the routine of the horse in any sense. Be sure to talk with the caregiver to see their food, deworming, training and physical status, as it may be out of shape. 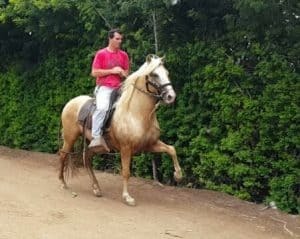 Learn all about what is the Peruvian Paso Horse, its facets through literature and its representations such as horseback riding, exhibitions, seminars, competitions, etc. Define if you want to have a horse for pleasure and trail riding, for breeding or to compete. You can make one, all together or two. You decide! Define how much you want to invest and schedule their monthly expenses so that it does not become a issue with budgeting. Walk hand in hand with professional people in both aspects as advisors to guide you as well as a professional veterinarian. Lean on experienced friends to introduce you to the owners of the horses that may be of interest to you. There are serious advisers with enough credibility to help you find the appropriate horse for your needs. Get excited! We need more people and aficionados to help this breed continue to grow.